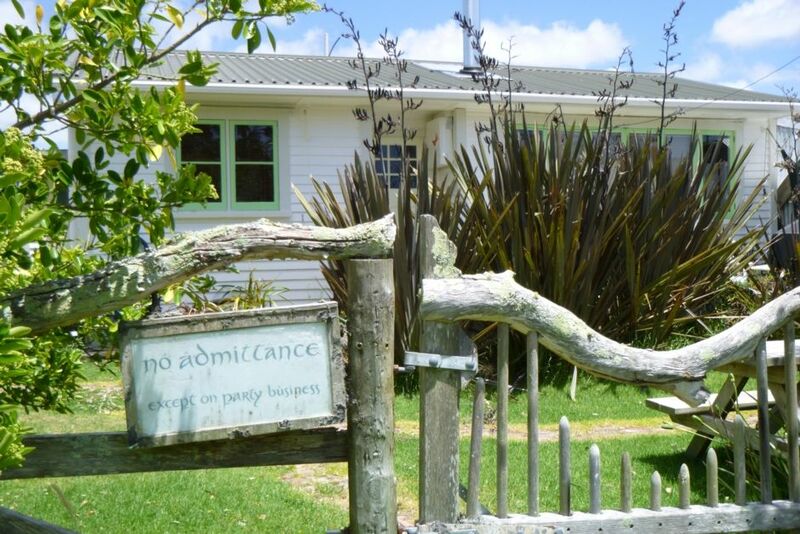 This funky 50's style beach house - only 90 minutes easy drive from central Auckland - has been created with relaxation and play in mind. A cozy fire for warm and snug indoor winter activities, a caravan for a teen retreat, BBQ and picnic table for outdoor feasts. The section is compact and flat, with space for children to play while the adults kick back and relax on the private North Facing deck. The neighbouring creek is a fun spot for eel fishing, toddlers should be well supervised. A compulsory bond will apply per our terms and conditions. Calculated on number of guests and length of stay. One night stays available at managers descretion. Smoking only outside. Careful use of tank water appreciated. A true quintessential Kiwi bach. Nice and clean. Host was very accommodating. This is a true Kiwi bach which is so relaxing. We only had 2 nights and it would have been nice to have had a few more days to explore the area. The bach is not 5 star, but you do not need that when on holiday. The living area was lovely and spacious and was perfect for the 4 of us and would easily accommodate a couple more. Joanne was so accommodating as we arrived late at night and was an absolute pleasure to deal with. Thanks for a wonderful stay! The outside of the property is in need of some TLC but inside is tidy. We had an enjoyable stay. The property managers are friendly and welcoming. The kitchen is well equipped. Bedrooms are clean and tidy and beds in good condition. Living area is comfortable. The shower in the bathroom is clean but the bath needs resurfacing or replacing. We enjoyed sitting outside despite the overgrowth. Big Bay itself is a short walk from the property. A good bay if you have a boat and tractor. An open beach with not much shelter. We liked taking the short drive to Grahams Beach which is swimable at low tide as well as high, is nice white sand and loads of trees for shade if needed. Clean, we'll set up roomy bach. Lovely arty feel. Cute Bach, very comfy and accommodated our needs well! Lovely and clean with good facilities. Lovely and clean with good facilities. Loved the window seat.